All you need to use email, without having a local internet connection: laptop with Winlink installed, TRX (with antenna) and TNC-X. 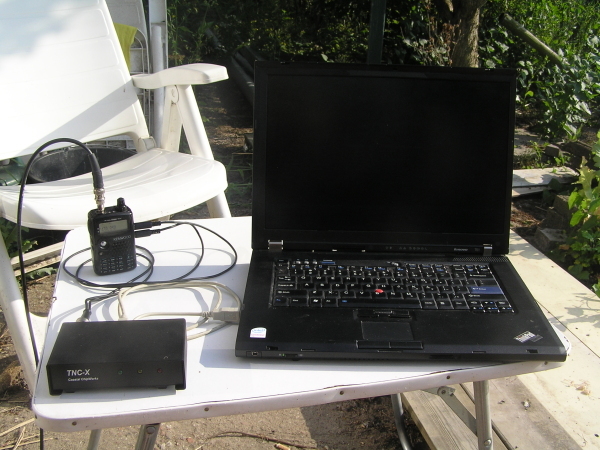 The Dutch Amateur Radio Emergency Service (DARES) is currently setting up a messaging system for emergency communications. Email is sent over radio using the good old AX.25 protocol. Part of this project is the TNC-X, a simple packet radio modem with a USB interface. I am trying to get rid of those RS-232 boxes, so having a TNC with a USB interface is one more step in that direction. Hans PA3GJM managed to get lots of radio amateurs together to buy 100 TNC-X modems. I was one of them.